Management has been relatively quiet about the strike, while their lawyers engaged in protracted negotiations with Legal Aid Services of Oregon over numerous maintenance issues that Princeton has largely left unaddressed. But recently, they’ve taken some action, coinciding with several new developments. - Multiple tenants have complained to Princeton about cockroach infestations. - City inspectors completed a report on over 90 separate housing code violations found in the complex over the summer, including mold, fire hazards, and improperly installed electrical wiring. - This electrical wiring caught fire three weeks ago, leaving three tenants completely without power. What kind of action has Princeton taken in response to these serious safety and habitability violations? If you guessed that they fixed the issues and restored their tenants’ electricity, you were wrong. If you guessed that they offered the three tenants a rent reduction in compensation for three weeks without power, you were also wrong. - Having received a shockingly high count of zero (0) reports of crime at the complex, they’ve hired a private security firm to patrol Holgate Manor. Tenants have reported to us that these guards have a habit of menacingly hanging around outside apartments where union discussions take place. Members of the immigrant community feel particularly intimidated by their presence. - They’ve begun trying to break the union by actively targeting its members. Last week, Princeton filed in court to evict one of HMTU’s most prominent leaders for non-payment of rent. 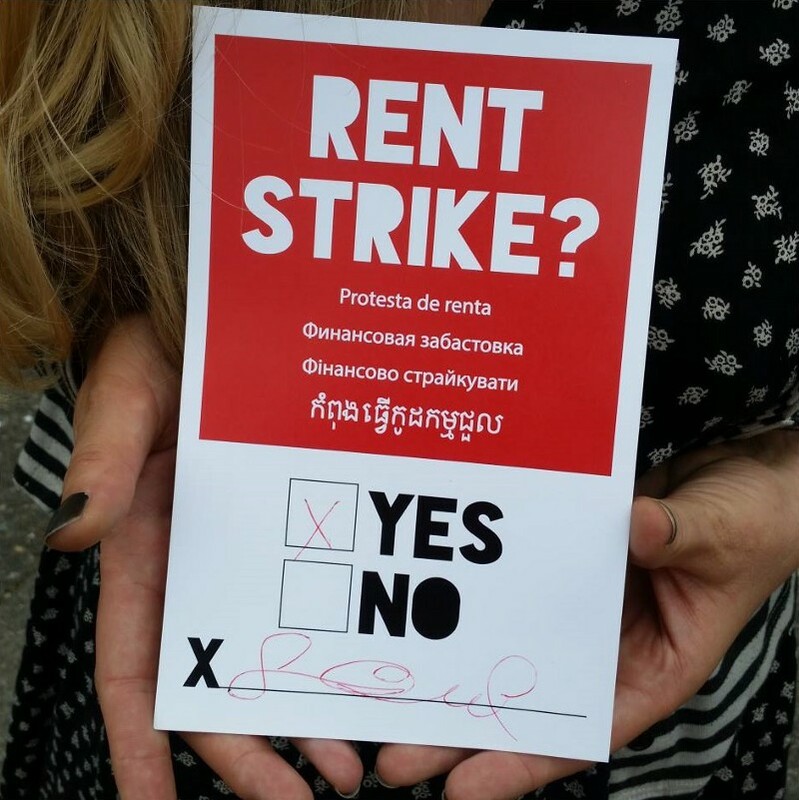 Their strategy couldn’t be more clear: by making an example of one tenant, they hope to fracture the union’s solidarity while avoiding the public outrage and the legal costs of a mass eviction. Thanks to your support and donations, the tenant facing eviction will have legal representation in court next week. But it’s not just her in the crosshairs. The unity and solidarity of HMTU are at stake, and with that the leverage that they have been wielding for the past three months. Princeton and Kleinbub intend to chip away at their collective strength, little by little, until the union folds. - Contact Princeton Property Management and let them know what the community thinks of them! Be sure to mention that we can all see their retaliatory tactics, and that they must drop the eviction and STOP TRYING TO BUST THE UNION immediately, make badly needed repairs, and rescind their unaffordable rent increases. You can reach them at 1–800–275–4313, or you can mail their office a letter at 7831 SE Lake Rd #200, Portland, OR 97267. - SHARE THIS POST, and stay tuned to our page for further updates. The eviction case will go to court on Tuesday, and with it will come more opportunities to show support. This story was first published by Portland Tenants United. They’ve begun trying to break the union by actively targeting its members. Last week, Princeton filed in court to evict one of HMTU’s most prominent leaders for non-payment of rent.